Alvaro Quiros will take a one-shot advantage into the final round of the Trophee Hassan II but the Spaniard has a host of contenders breathing down his neck. 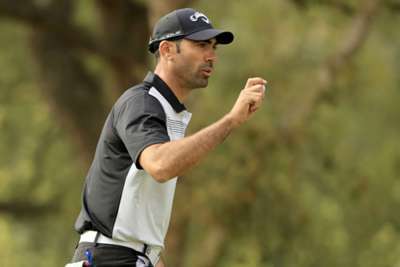 Quiros started the day with the slenderest of leads and retained it courtesy of a birdie at the 18th to go seven under at Royal Golf Dar Es Salam. The seven-time European Tour winner had his worst round of the week, signing for a level-par 72 which included four birdies and as many bogeys. Quiros, who ended a six-year wait for a European Tour victory in Sicily last year, went out in 36 after dropping a shot at the first and another at the seventh, sandwiched by a couple of birdies. He two-putted the last to stand alone at the top of the leaderboard and can take confidence from the fact that he has won four out of his seven Tour wins after starting the final day with a lead.